Lorraine Wilson advises and represents school district clients on a wide spectrum of issues with an emphasis on collective bargaining and human resources concerns. Lorraine’s litigation experience includes labor arbitrations involving contract interpretations and employee misconduct. Prior to joining Porter Foster Rorick in 2013, Lorraine served as Assistant Superintendent for Human Resources with the Puyallup School District, Director of Labor and Legislative Relations for the Tacoma School District, and Associate Executive Director for the Washington State School Directors’ Association. During the course of her legal career, Lorraine has also maintained an interest in municipal law, serving as an Assistant City Attorney for Centralia, chair of the Lacey planning commission and council member for the City of Lacey. Lorraine is a past-president of the Washington Council of School Attorneys, a former board member of the Washington Association of School Administrators, and a board member of the Employee Relations and Negotiations Network affiliated with WASA. 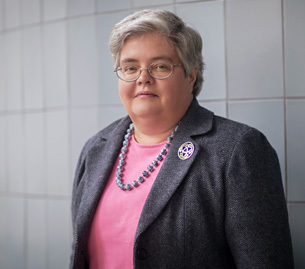 Lorraine graduated in 1984 from Reed College where she was elected to Phi Beta Kappa, and graduated in 1987, with honors, from Duke University School of Law.